Mmm – MMA from Revolution Trains in 00! 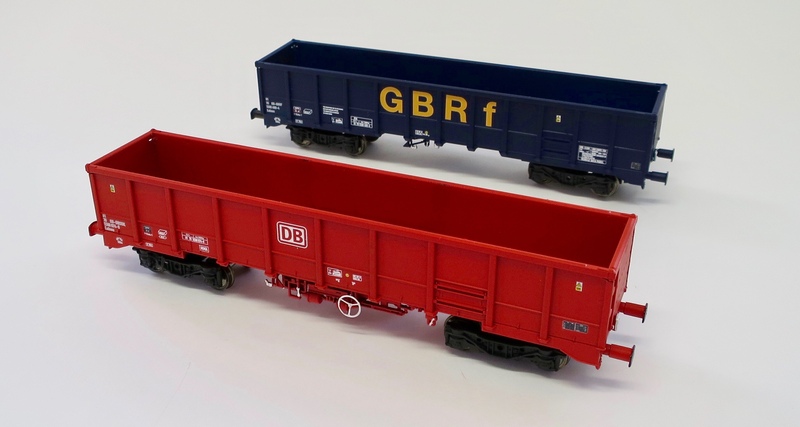 Revolution Trains is to produce the widely used MMA/JNA-T box wagon as its second model aimed at 4mm modellers. Hand-painted EP1 samples. Some small details and markings omitted. Samples were unveiled at the Warley National Model Railway exhibition at the NEC over the weekend. Note accurate MMA underframe detail and “cut out” in each top corner. Our models feature tension-lock couplers in NEM sockets, RP25 profile wheelsets and are weighted to ensure consistent, reliable running. Both 9- and 11-rib variants are being offered, with and without bodyside access doors and with prototypically accurate variations in brake arrangements. We are also offering a version with a switchable, battery-operated tail lamp. 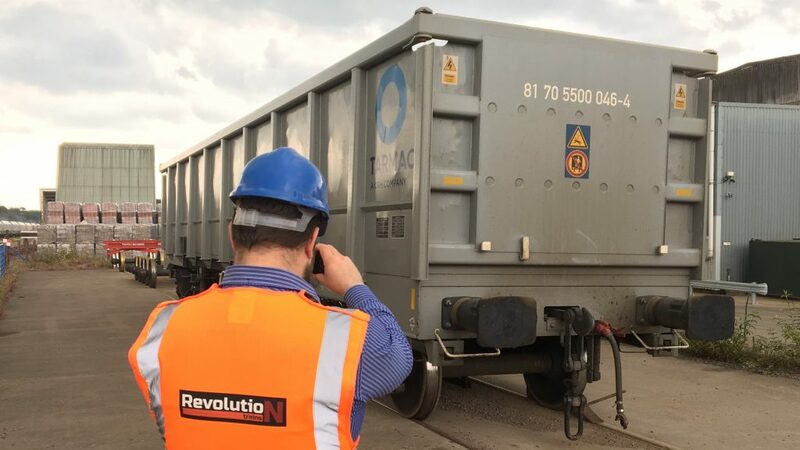 Revolution would like to thank DB Cargo and Tarmac for allowing us access to Barrow Railhead in Leicestershire to measure and photograph the prototype so these models can be as accurate as we can make them. The models are available from Revolution in three liveries, with five different numbers in each. Please note these images are purely illustrative and not to scale. In addition, Kernow Model Rail Centre have commissioned a further two further variants with 11 bodyside ribs and different brake arrangements. The wagons are coded MMA by DB Cargo and JNA-T by other operators; they all carry the UIC code Ealnos. 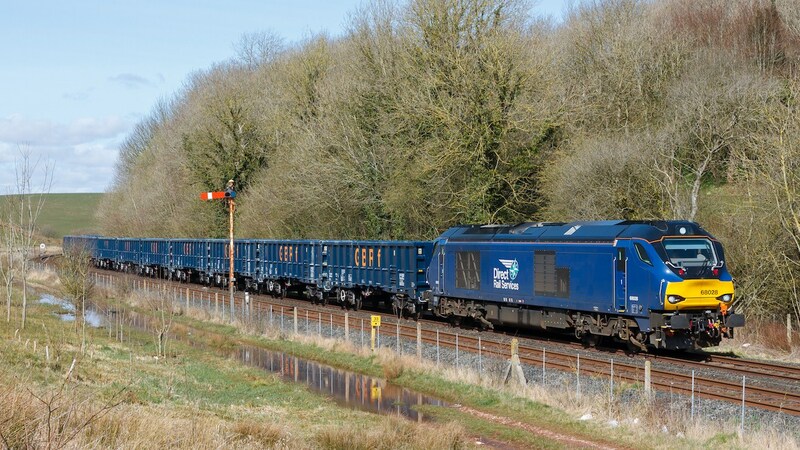 They’ve been in operation since 2016 and have spread across England and into parts of Wales as their open, rugged construction allows for easy unloading using a mechanical grab in locations where a dedicated terminal for hoppers with underfloor discharge gear would be uneconomic. This route map shows how widespread they have become. 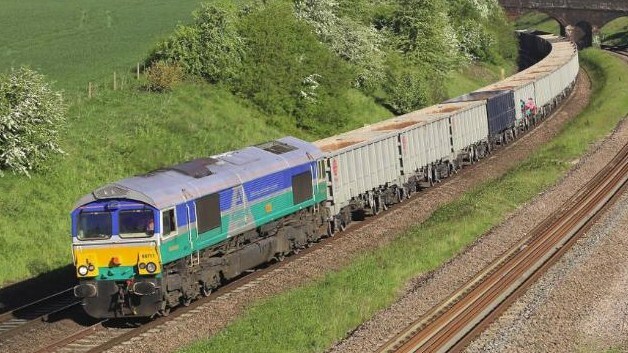 They are most usually associated with Class 59, 60, 66, 68 and 70 haulage as can be seen on this selection of sample consists observed on real trains. Models of all the appropriate locomotives are readily available. The model has already been tooled and is expected to go into production reasonably soon after Christmas, with delivery anticipated in early 2019.